Looking for ways to help your child succeed in school? You have come to the right place. This is a site for parents looking for that help. It presents the popular Guides For Parents series by Bruce Johnson. These books are written for the parent audience. While parents are purchasing these books for their individual use, the highest number of sales are presently going to some Title 1 schools. These schools are purchasing these books in bulk for their parents. Please consider allocating some of your Title 1 Parent Involvement funds to these resources. I am a reading specialist in the Merrimack Valley School District. My present assignment includes the Salisbury and Webster elementary schools. I created an earlier book titled Involving Parents in Their Children’s Reading Development: A Guide for Teachers. Since that publication, I have always wanted to complete a similar book directly for the parent audience. As an educator, I am extremely interested in parent involvement. If parents can send their children to school with the attitude that learning to read is important, then their child’s teacher is in a better position to help their child. Parents need to talk with their children, read to their children, and show an active interest. 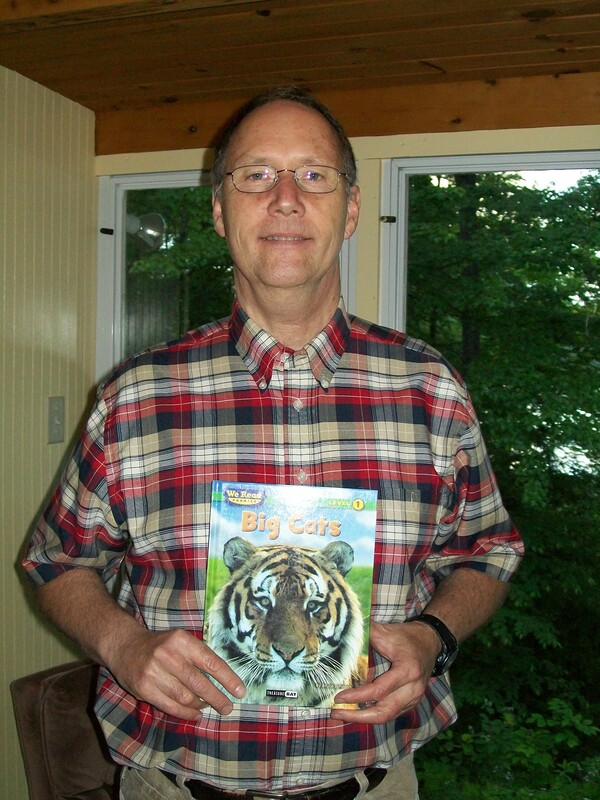 I’ve written Involving Parents in Their Children’s Reading Development: A Guide for Teachers and four children’s books: About Dogs, Big Cats, Which Pet Is Best and A Day At the Zoo. These are interactive parent/child books. DO YOU HAVE ANY OTHER PROJECTS/BOOKS IN THE WORKS? I hope to make the Guide for Parents into a series. So, next will be: Helping Your Child Become a Successful Writer: A Guide for Parents. I also hope to do something on Homework Helps and Success in School. I might even tackle Math Help, but being a reading specialist, I will need to collaborate with someone on that. Tackling math would be an exciting challenge, though. WHERE IS YOUR NEW BOOK SOLD? My book is available locally at Gibson’s Bookstore in Concord and MainStreet BookEnds of Warner, direct from the publisher at CreateSpace Purchase Click Here, and at all major online bookstores starting with Amazon at Amazon Purchase Click Here. For more information on this book, visit: GuidesForParents.WordPress.com.